October is Hacktoberfest month! Hacktoberfest is all about contributing to open source projects together. This year, we welcomed a nice crowd at Yoast HQ to help us improve our own and other peoples open source projects. Some of these fixes and enhancements made by this fine group of people made it into Yoast SEO 9.1. But that’s not all! 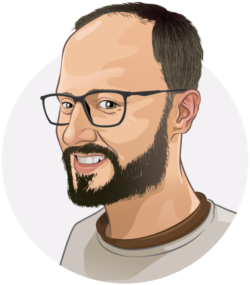 Not only are our plugins open source, but members of our team often contribute to other open source projects like WordPress. But the open source community can still use some help. One of the projects created to get people to contribute to open source projects is Hacktoberfest. Hacktoberfest is open to everyone — you don’t have to be a seasoned contributor. If you are looking to contribute to open source for the first time, this is an excellent place to start. For this edition of Hacktoberfest, we hosted a special edition of the NMGN.tech meetup at Yoast HQ. 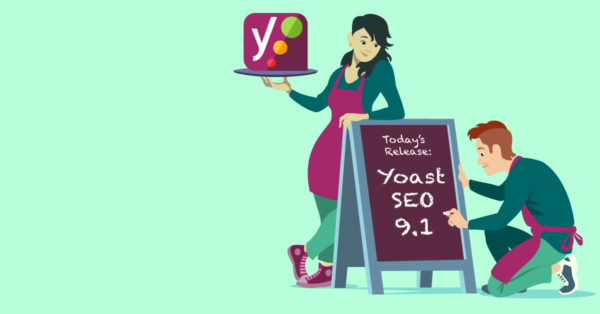 Yoast SEO 9.1 brings loads of fixes and improvements. As Yoast SEO 9.0 was such a big release with the improved SEO analysis, there was bound to be some stuff to fine-tune. As of now, we’re better at recognizing keyphrases in the first paragraph on texts which start with images and captions. Yoast SEO can now properly identify a featured image when you are using the SEO analysis in Gutenberg. We’ve also removed the non-functioning eye-markers from the link keyphrase assessment. We’ve fixed a couple of other bugs like one where we were showing notices when quick editing a post and no post type object could be found. Find the rest of the fixes in our changelog. As mentioned earlier, we had quite some help this month. Not everything has made it into the plugin yet, but we’re very proud of every single contribution by our beloved community. The list is quite long for this release, so let’s get to it! We’ll start with two language-based improvements. Marko Kronenfeld improved the content of the date archives help text, while Pedro Mendonça corrected the inconsistent spelling of the words “plug-in” and “set-up”, resulting in less text needing translations. Pedro also added an additional string in the sidebar to the translatable strings. Next up is Felipe Valtl de Mello, who suggested we should add a warning notification to the permalink settings page, linking to an article that provides more information. Thanks to Pete Nelson, we added a filter called wpseo_opengraph_is_valid_image_url. This filter allows custom image url validation. Last but not least, we have updated the font size of the snippet title measure element to mimic Google’s desktop snippet title correctly. That one was courtesy of Volker Killesreiter. Thanks for your contributions, everyone! That’s it for Yoast SEO 9.1! October was a very busy month for us and November is shaping up to be just as busy, with Gutenberg arriving. For this release, we’d like to thank the Hacktoberfest crew. We had some nice contributions to our plugin, and we could return the favor for other plugins. See you at Hacktoberfest 2019! Can’t wait that long? There are thousands of open source projects in need of help, so get to it! This is an amazing update. Really looking forward to see the improvement for me. Mam Yesterday on 7th of November 2018 I updated the latest version of Yoast SEO plugin, its not working properly. It is just processing below the post. And I can’t find anything about readability analysis and Focus Keyphrase because nothing is visible there. Just it’s rotating like what we during processing. I am just facing this problem mam. So please release a new version so that this issue can be fixed. Thanks a lot for this latest update! Yoast have finally stand out to become the best stable SEO plugin ever made in the market. But isn’t it possible for you guys to add auto-image alt in the plugin? Thanks for the nice words, Henry! We’re always looking into new improvements to make. Image SEO is one of those topics where there’s still work to be done, but I don’t have anything to share yet. After an update, readability and key phrase analysis don’t work anymore.